Plans for the Fort Myers Beach Margaritaville resort may be delayed, but that’s not stopping the developer from brainstorming more properties. Their next project? 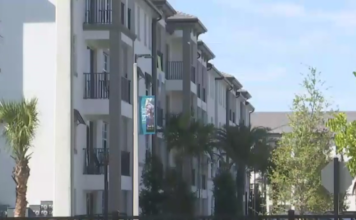 A hotel and new apartments to provide resort employees an affordable place to live. If approved, crews will build “Beaches Gateway Village” along Pine Ridge Road just east of San Carlos Boulevard. 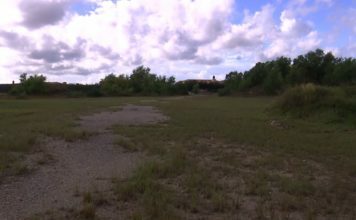 They would build two apartment buildings on a 15-acre site just 2.5 miles from the beach. The developers are hoping the close commute and lower cost will help attract new employees. Jill Eby works at Yucatan on Fort Myers Beach. She and other beach employees face the same issues of rising rent and seasonal traffic. “I live off the beach so I have a quite a commute to get here, but you know prime property just keeps costing more, and more, and more and it’s just harder and harder to make everything reach,” she said. TPI Hospitality, the same developer behind FMB Margaritaville, says it’s listening to those concerns. “I think it’s great especially with the development that’s coming on the beach cause the rent prices to go up and it’s hard to retain employees here on the beach because it’s hard for them to afford living,” Eby said. A unit could run $800 for one person including utilities and furniture. How it works is individuals would rent a unit that includes a private bedroom and bathroom. Then they would share a common kitchen and living room area with two to six people. Another problem on the beach that employees complained about? Parking. Rough plans for the new apartments show parking and free shuttles to the beach for employees.